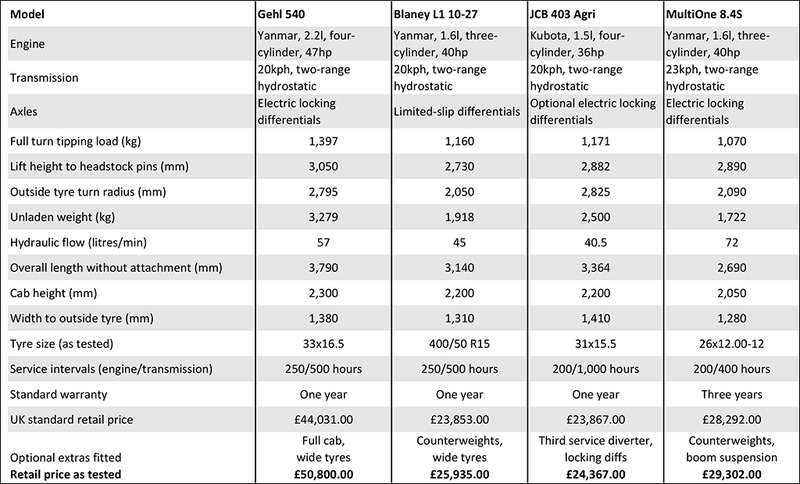 To find out how the latest mini machines compare, FG’s machinery team put them to work. Richard Bradley reports, pictures by Marcello Garbagnoli, videos by Bryony Allen. While loaders continue to grow in capacity and physical size, unfortunately traditional farm buildings and those tight spots in the yard do not. 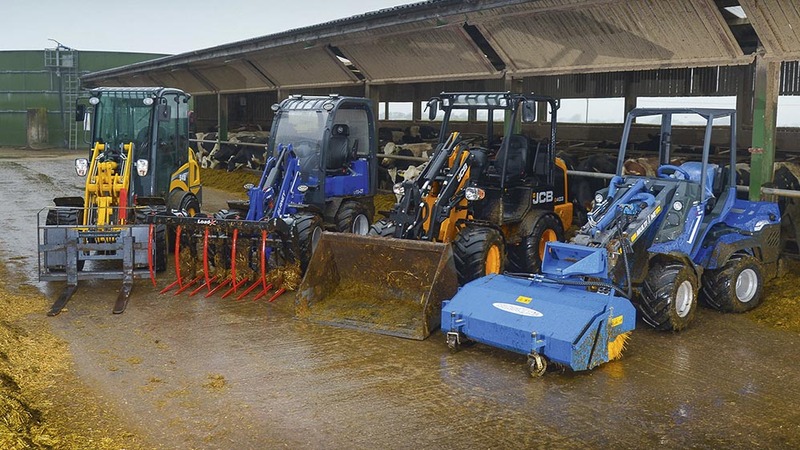 Naturally, to fill this gap there has been a growing market for mini loaders, often to support larger loading machines on livestock farms. To see what is new on the market we brought together four of the latest machines. These included Blaney’s L110-27, MultiOne’s 8.4+, Gehl’s 540 and JCB’s latest 403. Unfortunately, due to time constraints, we could not get hold of the most comparable Gehl model, the 340, but its 540 bigger brother did give us a good flavour of the range. 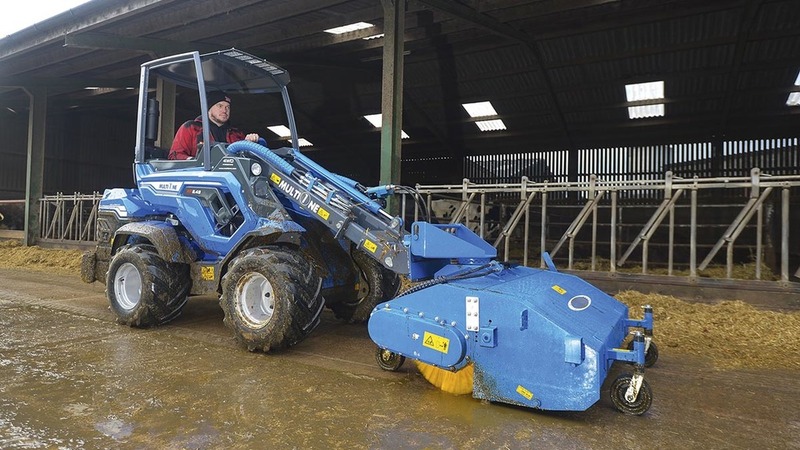 To find out each machine’s strengths and weaknesses, a large-scale dairy farm provided an ideal venue for our test. Here, we were able to put the machines through their paces, on a number of tasks with a variety of different implements. 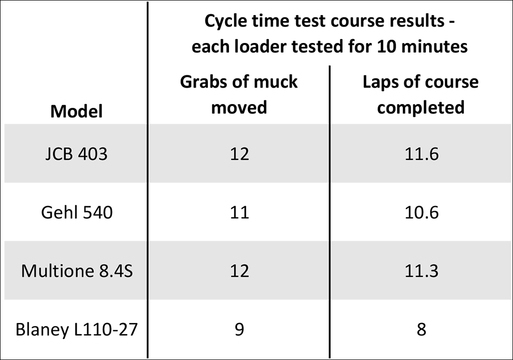 To provide measurable figures for each machine's performance, we carried out a number of cycle time tests. 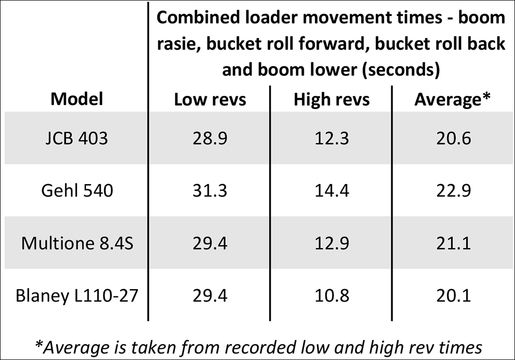 To give an indication for each loader's hydraulic performance, we measured individual loader movement times. For the results, see the spec table below. 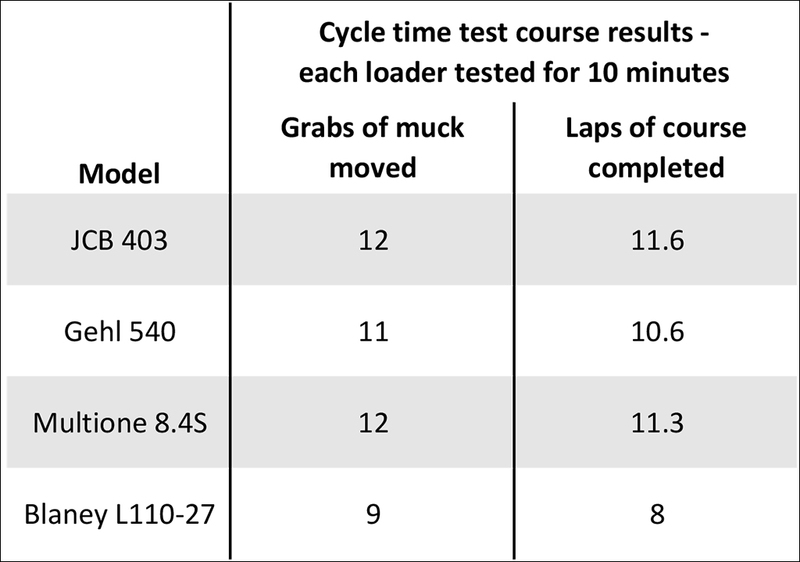 Aiming to highlight each machine's differences in transmission and engine response, stability and hydraulic performance, all four loaders were tested for 10 minutes on a course consisting of a 150m high-speed loop, tight slow-speed corners and muck re-handling. For more information see the adjacent video, and for all the individual results, see the table below. We headed to the workshop, to find out what each loader might be like to live with for maintenance. Among our top priorities were general access to all filters and fillers, ease of getting at the radiators, and any interesting features. 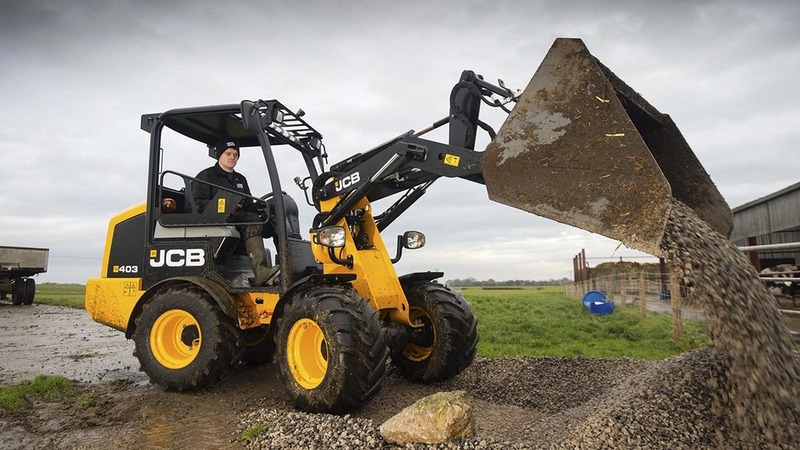 On paper, JCB’s 403 had the lowest power, lift capacity, hydraulic flow and the largest turning circle of any machine we had on test, yet it out-performed all the other machines when run against them. Especially when compared to the larger Gehl, the 403 appears to be an efficient machine, making the most of what it has. The fact it also comes in with the lowest retail price and will hold its resale value better than some of the machines here, hammered home our verdict. 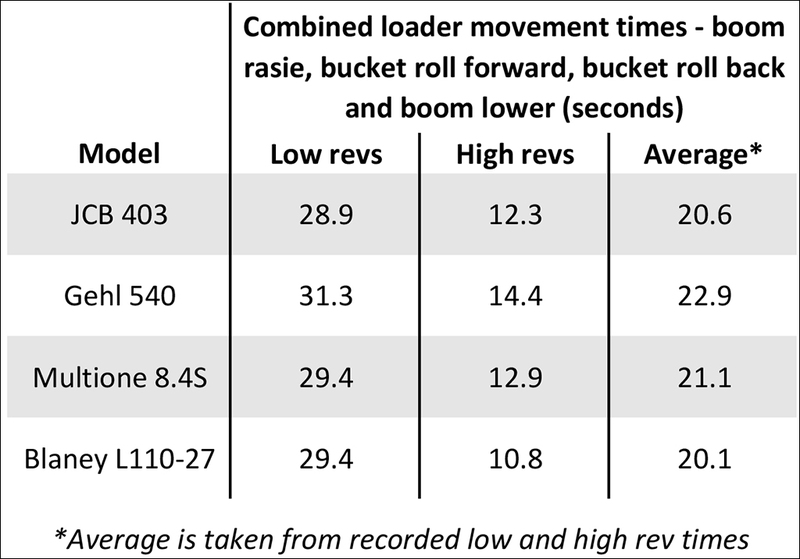 Bearing in mind this is Blaney’s first attempt at a loader, the L110-27 is a cracking effort. It has plenty of lift capacity, picks up its feet well and is a simple machine to operate which most people could jump on and drive. Its robust fix-on-farm design should also appeal to farmers who are happy to maintain machinery themselves. If the Northern Irish firm irons out the minor niggles, this will surely stand the test of time as it appears to be built to last. 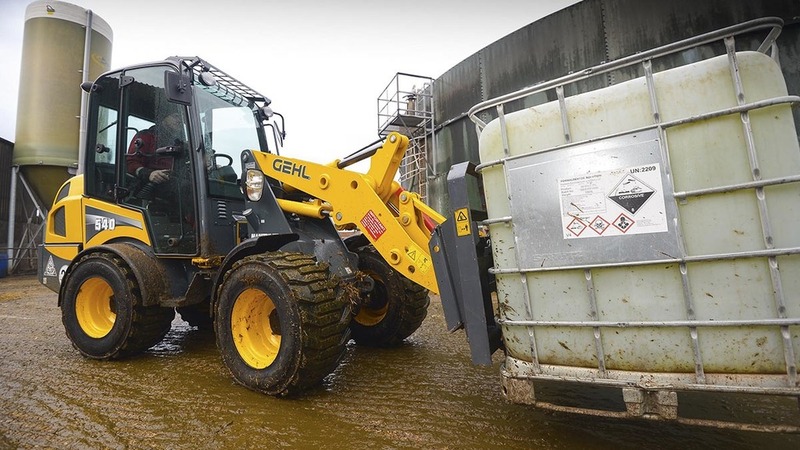 While the Gehl 540 has the largest capacities on test, it does not appear any larger in size, keeping similar dimensions than the JCB and Blaney. However, its extra 10hp did not show when working alongside the JCB. Overall, the Gehl is a well-finished machine with a number of handy features such as its tilting cab, steel pipework and underslung weights. 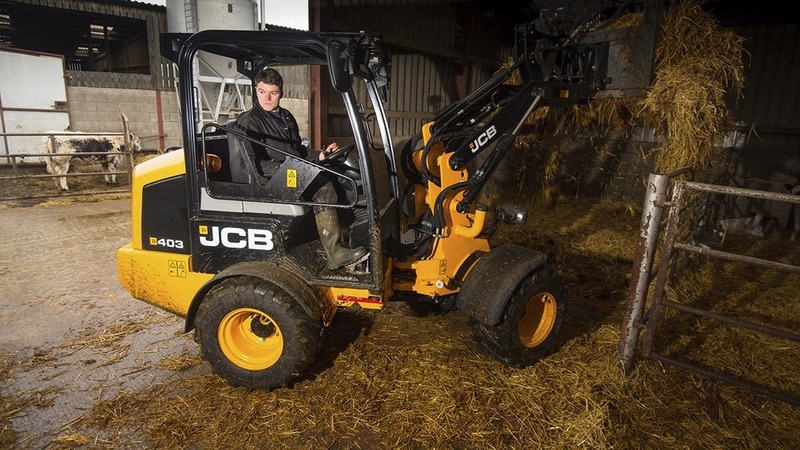 Obviously, the larger capacity 540 model is a more expensive than the other loaders on test but the firm’s smaller 340 loader, which shares the same axles, transmission, cab and controls, has a retail price of about £34,000. 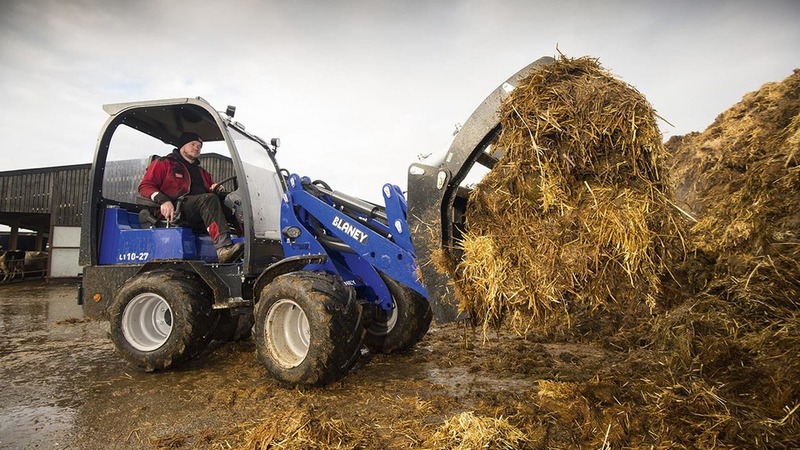 The MultiOne is a more than capable machine, but it is more of a tool carrier, better suited to powering attachments, than an outright agricultural handling machine. The ride and handling take some getting used to, although the more conventionally seated SD models are available at a lower price than the standard machines. Overall, for a customer who wants a multi-purpose machine which can trim hedges, mow verges, move pallets and materials, then this is an ideal machine. But for a livestock farm, we cannot say how the machine and its plastic body will fair after a few year’s hard graft.